Arrezo city is mainly known for its gold industries, antique traders and the stunning Piazza Grande. 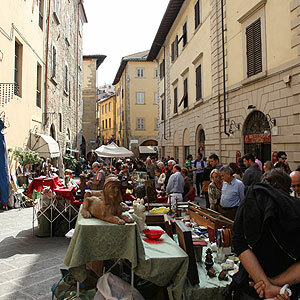 Antique shopping is a must-do in Arezzo, at the antiques goods fair held every month at the Piazza Grande where you can find furniture, vintage silverware and kitchen tools. You can even pick something from their authentic gold jewellery stores and boutiques there. 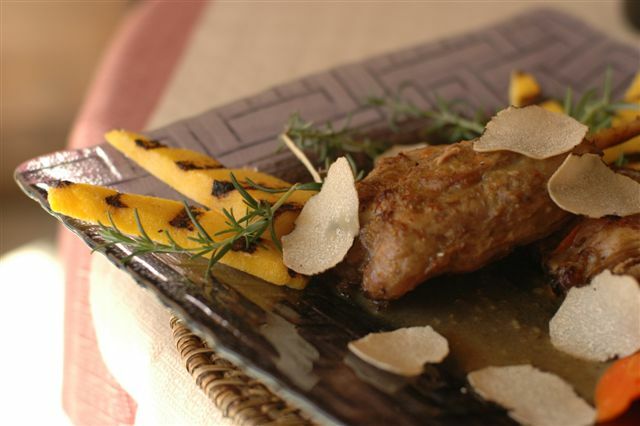 Arezzo is extremely popular for its home-produced cheeses and truffle mushrooms. The area has a lavish coffee culture with several cafes. Attention dessert lovers: the reason has several gelato outlets. When night falls, a lot of folks take a walk around the city to chill out. Also known as Val d’Orcia , or Valdorcia, this picturesque city is a melting pot of impressive cultures, has a vibrant art scene and beautiful landscapes. The region is in the middle of Italy and is rightly called the heart of Tuscany. Explore charming villages and little towns, like Pienza, Montepulciano and Montalcino, that dot this valley. There are quite a few magnificent destinations scattered throughout the valley- Contignano, Monticchiello, Bagno Vignoni, Rocca d’Orcia, Bagni San Filippo and Vivo d’Orcia to name a few. Montepulciano is a must see as it maintains its medieval characteristics to date. When in Orcia Valley, gourmet shopping is your best bet. Add cheese to your shopping itinerary, for this region doles out the best pecorino cheese in Italy. Mushrooms of Amiata, truffles of the Crete Senesi and saffron from Cinta Senese are other great buys. Stock up on bottles of extra virgin olive oil (cold pressed from olives of moraiolo, frantic and leccino varieties), as this oil is different from what is available in other parts of the world. The city has numerous cafes, canteens and restaurants. The menu here is peppered with spectacular like fiocchi, gnocchi and pici pasta. If you’re in the mood to experiment, there are many fine dining restaurants serving dishes prepared with a refined take on classic Tuscan preparations. This quiet town also has some pubs frequented by the locals and also has lots of ideal options for quiet walks. Lucca was founded by the Etruscans, the ancient civilization of Italy and became a Roman colony in 180 BC. The lush region is located on the river Serchio on a fertile plain near the Tyrrhenian Sea. The Apuane Alps in Lucca are ideal for taking a stroll, trekking, cycling trips or horseback rides. The magnificent caves of Grotta del Vento are popular for its spectacular stalactites. Also visit churches like San Michele, the Duomo and San Frediano and also amble along the medieval bridges here. The Piazza dell’Anfiteatro, builton the ruins of the Roman amphitheatre, and the Giunigi Tower with its rooftop garden are other must-visits. The little delis in this area offer olive oil and flavored oils, ranging from fruity to spicy. Lucca also has a small textile and jewellery industry, so make sure you look for these at street-side boutiques. Antique lovers can queue up outside Piazza Antelminelli or walk through the streets around Duomo for furniture, silverwares, watches etc. 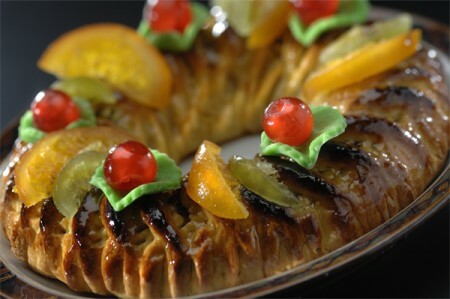 The region is popular for its sinfully sweet offerings. There are cafes and bakeries galore, where you can get a taste of the local desserts like buccellato (donut-shaped dessert), castagnaccio (chestnut flour cake), necci (cream-filled pancakes). Lucca’s nightlife isn’t so much about raucous parties as it is about appreciating the finer things in life. Catch some live music performances or attend classic and cult movie screening nights, which many hotels host frequently.